Three modern meeting rooms and a ballroom with the capacity of up to 200 guests are the ideal venues to host meetings, conferences, seminars, social functions and wedding receptions. 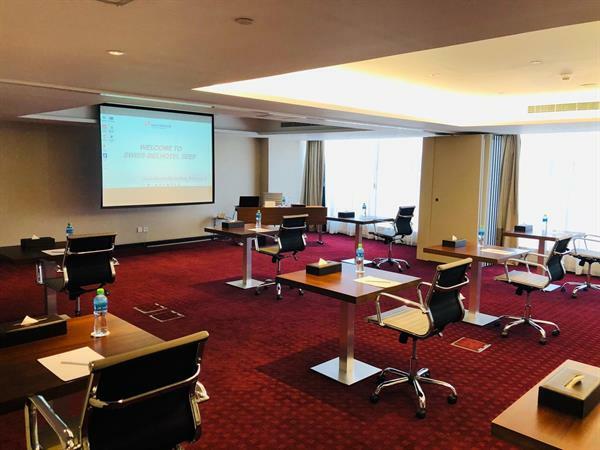 For business delegates, the hotel offers up-to-date conference and meeting options with three meeting rooms, and a ballroom with a capacity of up to 200 guests. The meeting rooms have a state-of-the-art equipment making the hotel ideal for hosting exhibitions, seminars, conventions, weddings, gala receptions and product launch events.